The Cranberries receive Honorary Doctorate from the University of Limerick. 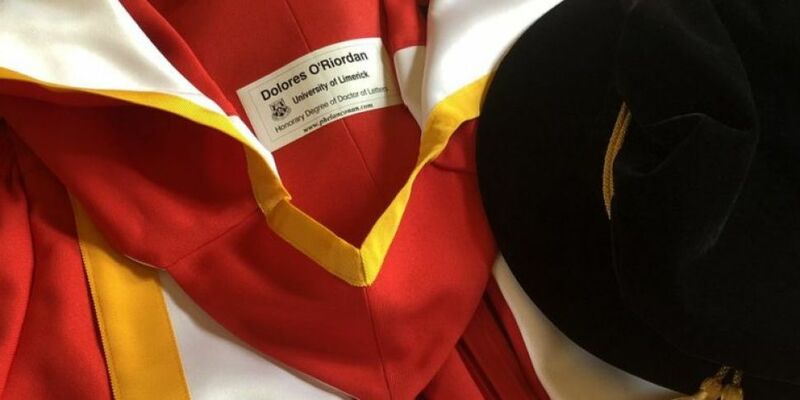 While Dolores O'Riordan has been conferred with a posthumous Honorary Doctorate. Eileen O' Riordan, mother of The Cranberries lead singer, who tragically passed away last year, accepted the honour on her behalf today. Earlier this week the Limerick group released the first single from their upcoming album. The album features previously unheard vocals of Dolores O' Riordan.